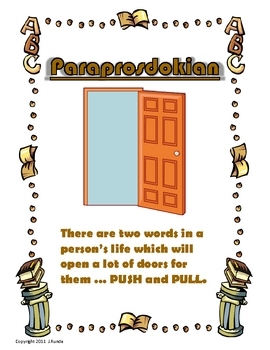 Can You Make A Paraprosdokian? 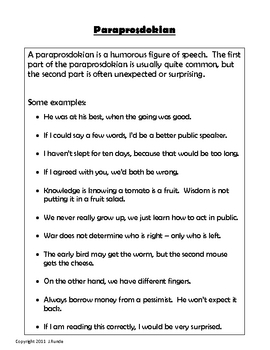 A paraprosdokian is a humorous type of figurative language in which the first part of the phrase is commonly known, and the second part is often unexpected or surprising. 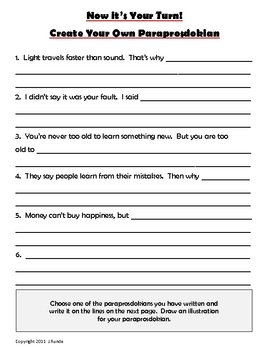 In this fun activity, students learn what a paraprosdokian is, read examples, and create their own. 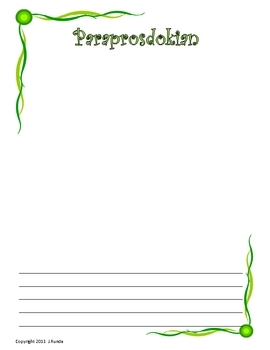 The file also contains a page on which students write their own paraprosdokian and illustrate it. This could be handed in for a quick assessment, or posted to make an entertaining bulletin board display.